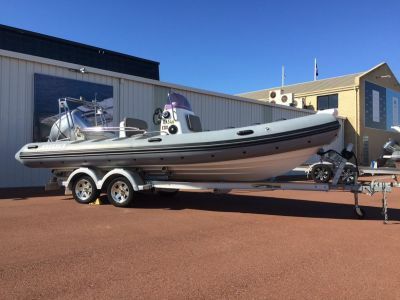 Nuova Jolly deliver a high power deep V hull RIB with revolutionary performance and functionality. 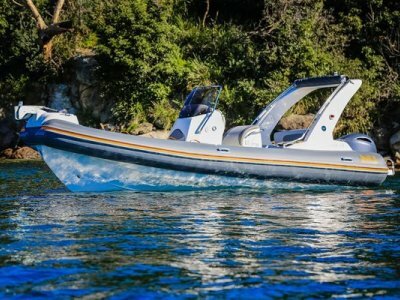 The European build stands alone as the latest leader of RIB class with an extensive range of standard options that include but are not limited to: Dinette convertible to sunbed, hydraulic steering, large over sizes lockers with gas struts, side passage towards stern platforms, centre console, electric windless, fresh water shower system. 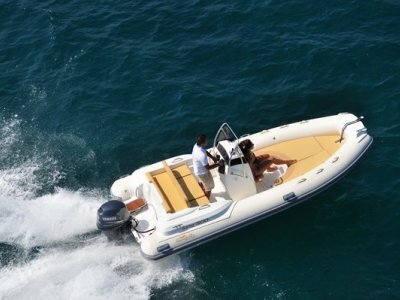 Additional options include : refrigerator, teak floor, roll bar in fibreglass or stainless steal, bimini, stern platforms. Nuova Jolly offer the ability to fully custom the colour configuration of all rubber and glass. Europe's most trustworthy & seaworthy inflatable now available in Australia! Open day boat RIB with a sunbed for 6 people. 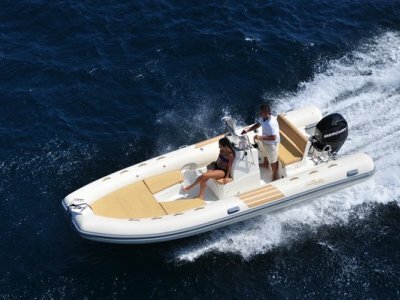 Accessories: Refrigerator, teak floor, roll bar in fibreglass or stainless steal, bimini, stern platforms in teak, electric windless. | Remarks: Please contact our Rose Bay Office on 1300 777 879 to arrange an inspection on our Nuova Jolly range.